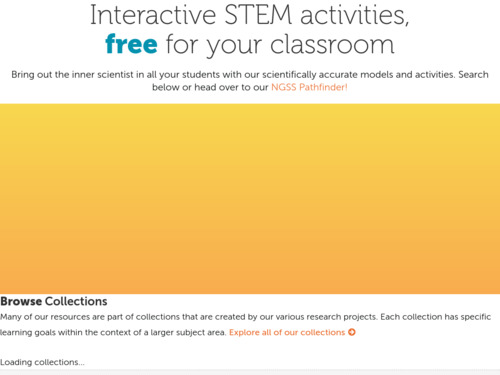 Find and download scientifically and pedagogically reviewed digital resources for teaching about climate's influence on you and society and your influence on climate. 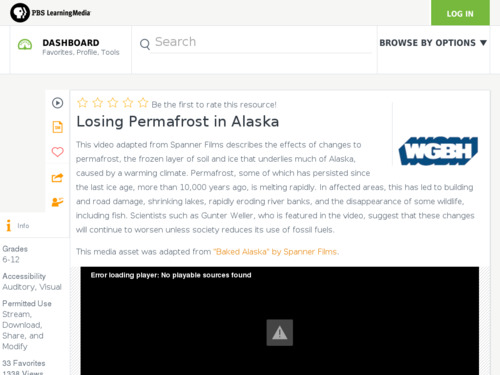 This lesson sequence guides students to learn about the geography and the unique characteristics of the Arctic, including vegetation, and people who live there. Students use Google Earth to explore the Arctic and learn about meteorological observations in the Arctic, including collecting their own data in hands-on experiments. 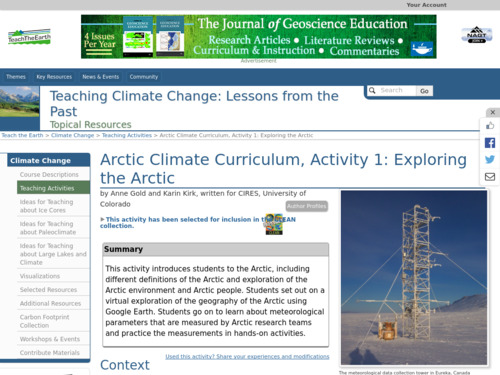 This is the first part of a three-part curriculum about Arctic climate. This video and accompanying essay review the impacts of rising surface air temperatures and thawing permafrost on ecosystems, geology, and native populations in Alaska. 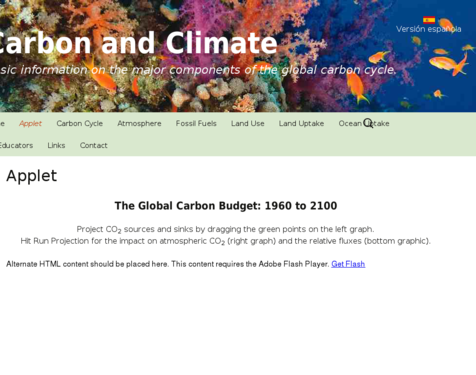 This simulation allows the user to project CO2 sources and sinks by adjusting the points on a graph and then running the simulation to see projections for the impact on atmospheric CO2 and global temperatures. This NBC Learn video features climate scientists doing their research on Mt. 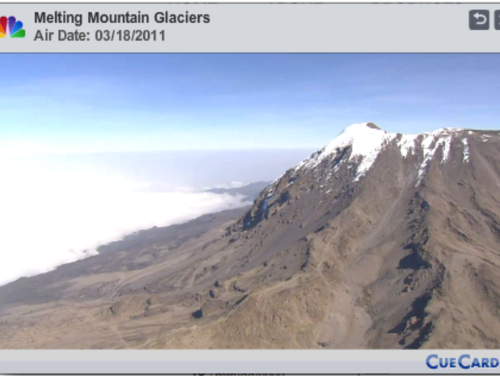 Kilimanjaro to study the climate of the past. The scientists put the recently observed changes on the glacier into perspective by comparing past climate fluctuations, stressing that the current observed rate of change is unprecedented. 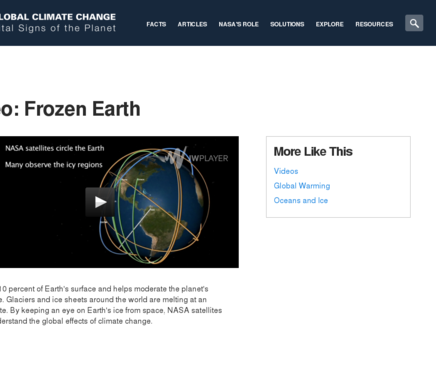 Note: you will need to scroll down the Changing Planet video page to get to this video. 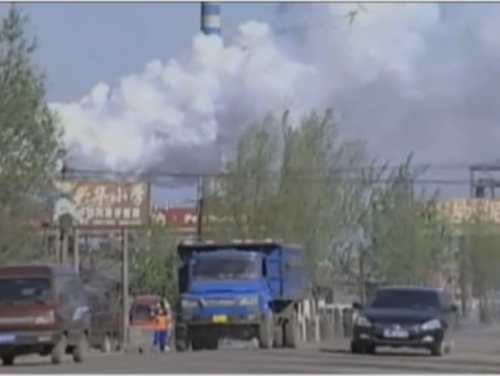 This video addresses two ways in which black carbon contributes to global warming. When in the atmosphere, it absorbs sunlight and generates heat, warming the air. When deposited on snow and ice, black carbon changes the albedo of the surface. The video is effective in communicating about a problem frequently underrepresented in discussions of climate change and also public health. 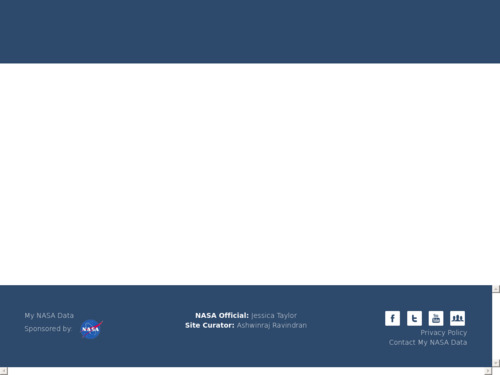 In this classroom activity, students access sea surface temperature and wind speed data from a NASA site, plot and compare data, draw conclusions about surface current and sea surface temperature, and link their gained understanding to concerns about global climate change. 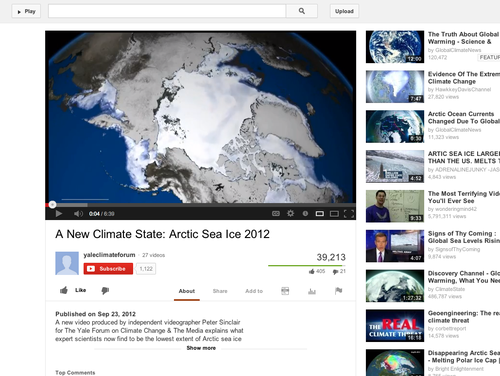 This video contains a visualization and explanation of the Arctic sea ice and how it has changed over the 25 years. In September 2012, the National Snow and Ice Data Center recorded the lowest extent of Arctic sea ice. The video discusses the climate importance of ice thickness, reflective properties, and self-reinforcing feedback mechanisms. This video montage of spectacular NASA satellite images set to music shows different types of ice and ice features as well as descriptions of satellite-based measurements of ice cover. Text captioning describes how global ice cover is changing, and how this is measured. This video highlights the work of climate scientists in the Amazon who research the relationship between deforestation, construction of new dams, and increased amounts of greenhouse gases being exchanged between the biosphere and the atmosphere. What is the Future of Earth's Climate? 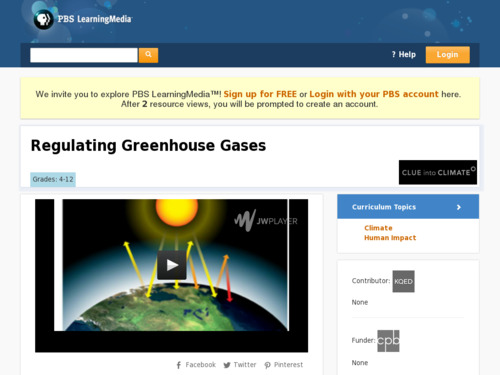 This is a series of 5 guided-inquiry activities that examine data and models that climate scientists use to attempt to answer the question of Earth's future climate.